How many times has this happened to you? You’re forced to “refresh” Windows with a clean install—and then you wait, and wait, and wait while numerous updates download, install, and bring your PC up to date. Good news, according to Microsoft—that nightmare is over. Microsoft said Monday that Windows 10's installation process will offer improvements over Windows 8 in two ways: If the PC can support it, Windows 10 installs in a compressed state, saving a small but important amount of disk space. And even more significantly, if you do need to reinstall, Windows 10 recovers using runtime system files that builds the new operating system from files that are already in place. And you can create your own recovery disk! In a world where multi-terabyte drives are common, the additional disk space isn’t all that much: 6.6 gigabytes, in one example that Microsoft provided. Microsoft carved out the additional capacity from two different improvements: the disk compression, (which saves 2.6 GB on 64-bit Windows) and the elimination of the recovery disk, which saves an additional 4GB to 12GB based on the new refresh/rebuild model. Microsoft previously saved space by using a special deployment configuration called Windows Image Boot (WIMBOOT), which it used on selected Windows 8.1 devices on “specially prepared” Windows devices with low system storage. That meant that only a small number of them could take advantage of the additional technology, Microsoft said. A version of WIMBOOT is now built into Windows 10, Microsoft said. Microsoft said it’s working on a way to upgrade those devices—which it hasn’t named—to Windows 10. Why this matters: With luck, none of you will be reinstalling or refreshing Windows 10 anytime soon. But if you do, it sounds like the process will take much less time than normal, which is fantastic. The disk savings, meanwhile, will mean different things to different people. A desktop user won't see much benefit with a terabyte hard drive or so. But Windows tablet users and those running SSDs will. 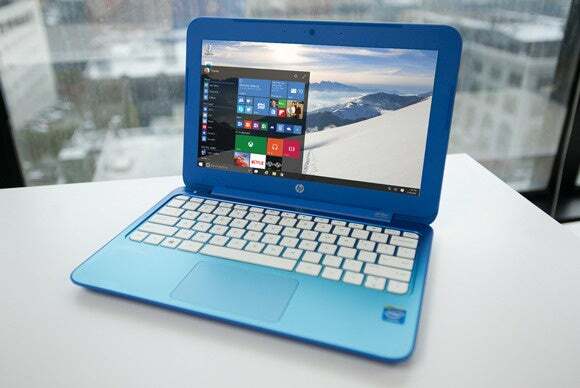 I’m wondering two things, however: Will Windows 10 refreshes be dependent on the CPU installed in the PC or tablet? And will malware try and attack those system files directly, allowing them to “survive” an in-place rebuild? There is one answer, though: Microsoft will allow you to back up that “pristine state” of your Windows build yourself—so if Windows becomes corrupted, you’ll have your own recovery disk.